James Bond will return. And, after months and months of speculation rumors and all kinds of ups and downs, it has officially been confirmed that Daniel Craig will return for at least one more go as 007. The actor finally put his indecision to rest and has said that he will be back for James Bond 25, which will likely be his last entry in the franchise. The actor appeared on The Late Show with Stephen Colbert and finally decided it was time address the issue of his return for James Bond 25 head on. Colbert decided to ask him about it point blank and, instead of giving any sort of run around, Daniel Craig gave a blunt but definitive answer. Here's what he had to say. "Yes. I always wanted to, I wanted a break." So there you have it. It had previously been reported by outlets such as The New York Times that Daniel Craig was set to return for James Bond 25, but no official confirmation had been made by the studio or Craig. Until Now. In fact, on the same day he confirmed his return on The Late Show, he told a Boston radio show that "no decision has been made," which was clearly a bit of misdirection. He admitted to Stephen Colbert that he's known for "months" that he was going to return. He also said that he wanted to go out on a high note, which seems to indicate that James Bond 25 is going to be his last go as the famed MI6 spy. "I just want to go out on a high note, and I can't wait." 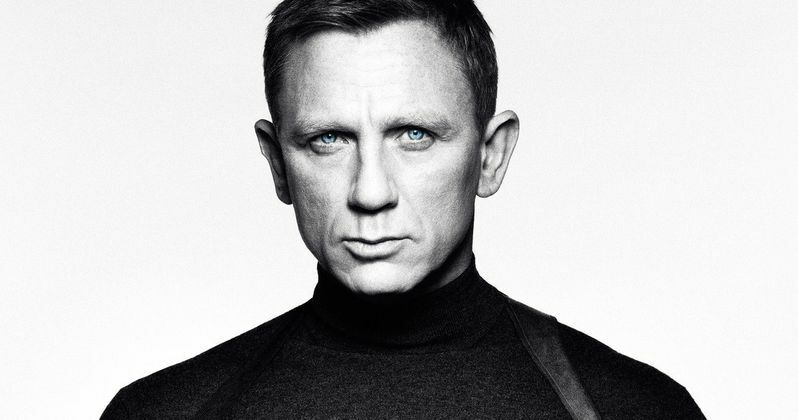 Following his work on Spectre, Daniel Craig famously said that he would rather "slash his wrists" as opposed to doing another Bond movie. He addressed this on The Late Show, saying, "Instead of saying something with style and grace, I said something really stupid." Given that he tore his ACL during filming on Spectre, it makes sense that he may have felt a little run down in that particular interview. But he's had his break and now he sounds like he's ready to get back to work. Not much has been confirmed for James Bond 25 beyond Daniel Craig's return. Neal Purvis and Robert Wade, who have written the last six James Bond movies together, usually with some additional writers coming in to help, are returning for this installment. Michael G. Wilson and Barbara Broccoli are going to produce the movie, which is standard practice as they are the ones who are in charge of the franchise. No other cast members, plot details, or director have been confirmed, but Yann Demange ('71), David Mackenzie (Hell or High Water) and Denis Villeneuve (Arrival are said to be on the studio's shortlist. Daniel Craig's return for James Bond 25, which is set for release on November 8, 2019, will be his fifth movie in the franchise. Only Roger Moore and Sean Connery will have played 007 more times. However, Craig's run at the box office has been historic, with Skyfall becoming the first James Bond movie to gross more than $1 billion at the box office, and his movies earning more than $3 billion in total. That being the case, it is no wonder that Eon Productions and MGM were so patient.